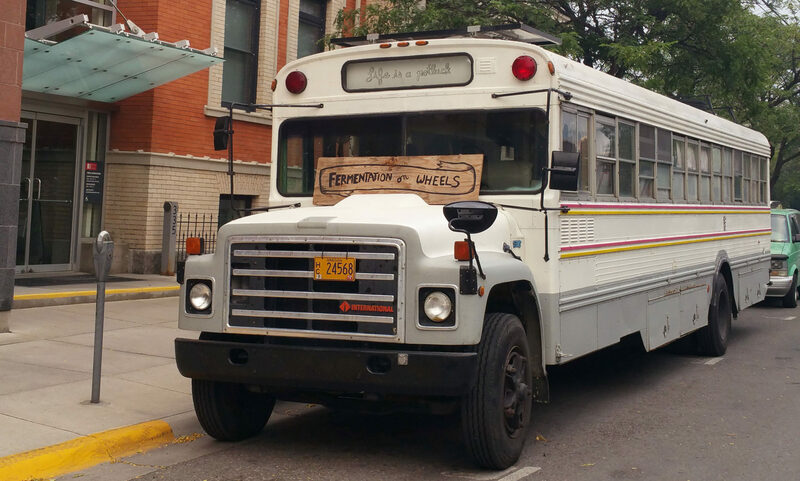 Fermentation on Wheels was born in Oregon’s Willamette Valley in May 2013. 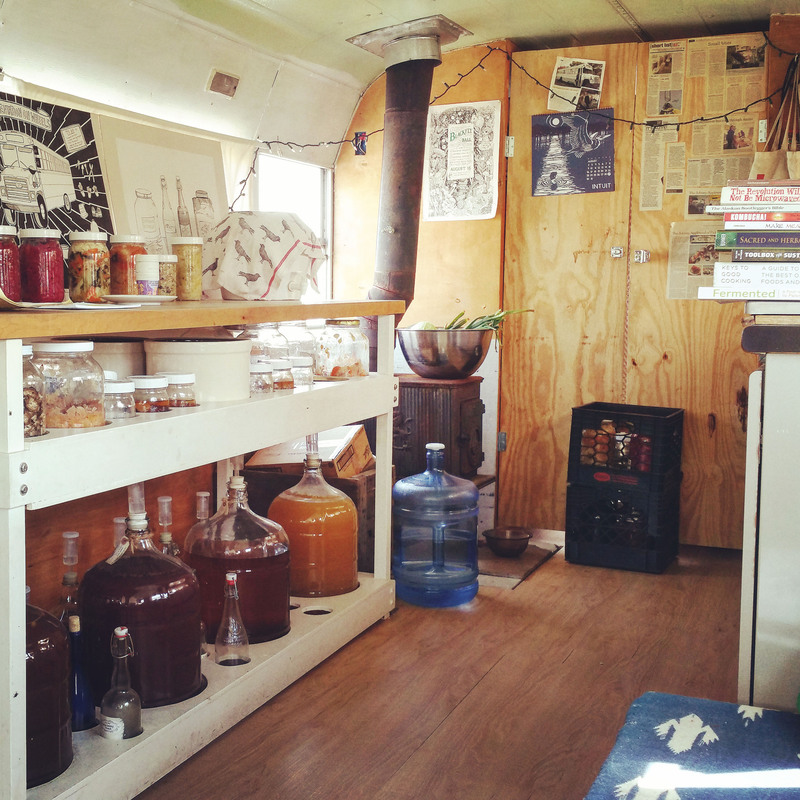 Tara converted a forty-foot vintage military bus that summer and departed from Eugene, Oregon in October 2013. Since its departure, she has traveled over 24,000 miles from coast to coast holding workshops, potlucks, and culture exchanges in schools, community centers, and at festivals. Tara has collaborated with organizations and businesses such as Edible Communities, FoodCorps, and Just Food, and as well as dozens of farms and homesteads.